Class Summary: Have you ever wondered what a day in the life of an astronaut would look like? Have you ever wished that you could live some place that was out of this world? This class gives students a taste of what life in outer space would be like. 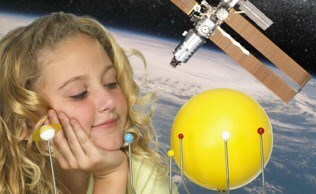 Students will learn the all about the amenities of outer space living through various activities and experiments. Near the end of the course students will work together to construct a model space station. Children will continue their investigation of challenges of living in space with their take-home Spacewalk Mission. 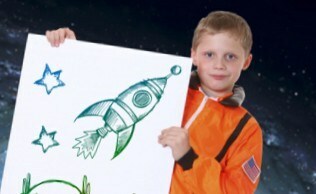 Educational Value: In this class, students will learn virtually everything it takes to be an astronaut--from the exciting discoveries, to the unexpected challenges. Students will get to undergo a special training mission similar to the ones that real astronauts participate in, and will learn all the ins and outs of life in space including mobility limitations, life support devises and strategies, and space station construction. The goal of this class is to give the students a real life glimpse into the role of astronauts and scientists that travel to outer space.